Even the bravest among us have some form of dental fear or anxiety. It may be because of the drills, the needles, or just a bad childhood experience. 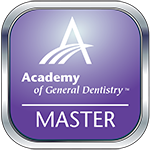 No matter where your fears of dental treatment came from, you should know that you can easily get past them with Sedation Dentistry from San Marcos Gentle Dental. Dr. Donnelly understands dental fear. That’s why he always offers oral conscious sedation to his patients. If you have been postponing the dental treatment you need because of your dental anxiety, be brave, and make an appointment with Dr. Donnelly and his experienced team at San Marcos Gentle Dental today. They will find the right Sedation Dentistry solution for you. Dr. Donnelly proudly serves patients throughout San Marcos, TX, Kyle, Wimberley, New Braunfels, and the surrounding communities. This is the least invasive sedation dentistry option. All you need to do is show up to the office one hour before your appointment time. You will be given a sedative pill that will take full effect before your treatment begins. The sedative will relieve any anxiety or apprehension, and make you feel completely calm and relaxed. The effects of the sedative lasts 5 to 6 hours, so you will need a friend or family member to drive you home after your appointment. 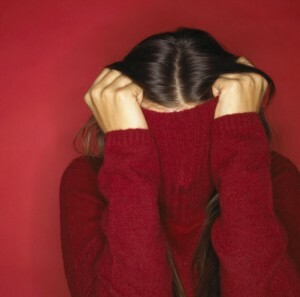 Sedation Dentistry can alleviate all of your dental fears and anxieties. However, the sedatives don’t block pain. As such, Dr. Donnelly will always administer a local anesthetic that blocks any pain or discomfort during your treatment. With sedation dentistry, and local anesthesia, you don’t have to avoid receiving the dental treatment you need. 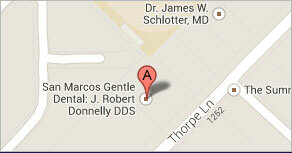 So make your sedation dentistry appointment with Dr. Donnelly at San Marcos Gentle Dental today. Dr. Donnelly restores smiles daily throughout San Marcos, TX, Kyle, Wimberley, New Braunfels, and the surrounding communities.